Although June is Pride Month, not every city has their big pride celebration the last weekend in June. For example, Savannah Pride weekend is in the fall. 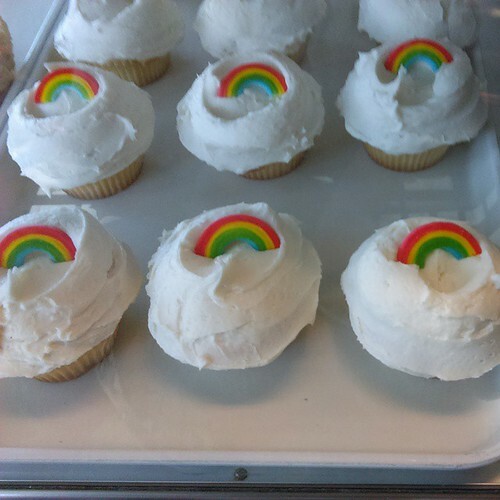 However, you don't have to wait to the fall to enjoy the rainbow cupcakes. I spotted these cupcakes last weekend at Back In The Day Bakery. BTW, congratulations to the Stonewall Inn in New York on getting historic landmark status.